Occasionally, a hotel opens that transforms the experience of a famous destination. The Iguazú Falls — the largest series of waterfalls in the world — are one of South America’s leading attractions, on par with Machu Picchu and the beaches of Rio de Janeiro. The Iguazú River forms a border between Argentina and Brazil, and two contiguous national parks make up a protected area of nearly 1,000 square miles. However, the nearby cities of Puerto Iguazú in Argentina and Foz do Iguaçu in Brazil are uninspiring places, dotted with dozens of midrange tourist hotels. 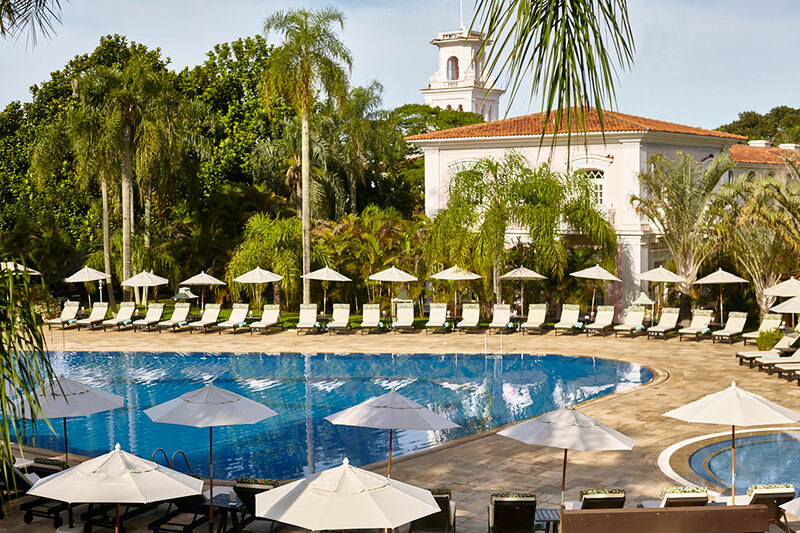 When I heard about the new Awasi Iguazú resort, which debuted in February, I was somewhat surprised. 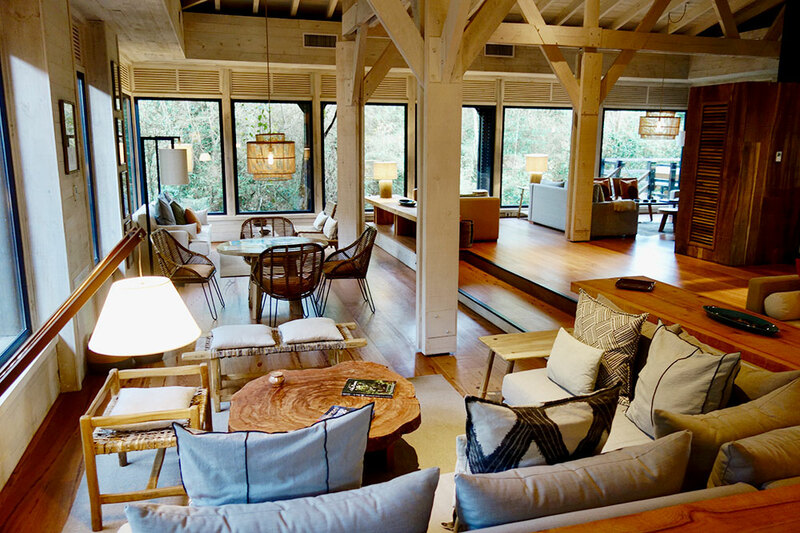 The company has two other properties, both in Chile, located in regions remote from mass tourism: Awasi Atacama (Hideaway of the Year in 2013) is set in the desert 1,000 miles north of Santiago, while Awasi Patagonia is situated at the country’s southern tip, overlooking the vertiginous mountains of Torres del Paine National Park. 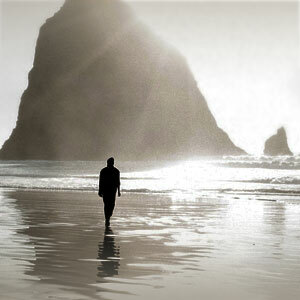 Why, I wondered, had Awasi chosen to expand in such an obvious and well-trodden destination? Puerto Iguazú (population 82,000) is a two-hour nonstop flight from Buenos Aires. We were picked up at the airport in a white Ford Ranger 4x4 by our guide, Constanza “Coti” Mainero, a lively and humorous woman with a fluent command of English. After about 20 minutes, we pulled off the highway into a patch of rainforest where Awasi Iguazú occupies a private and secluded 25-acre plot. The entrance to the resort is unobtrusive, and from the outside, the low-slung main lodge is an unassuming dark wood structure with a tin roof. Inside, however, we discovered a spectacular open-plan space, comprising a lounge area, a bar and a dining room. Outdoors, we found an expansive, multilevel deck facing an impenetrable wall of green. Although the river is close by, it is invisible. 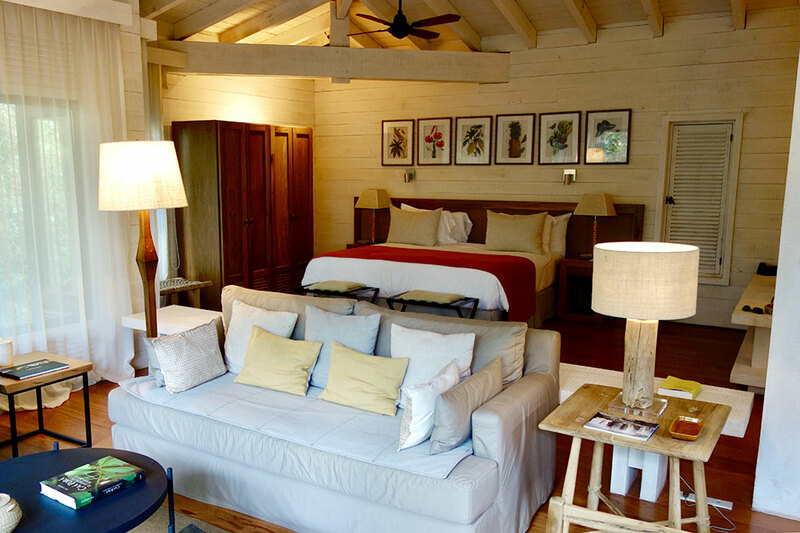 Awasi Iguazú provides deep seclusion; the dramatic views are elsewhere. The resort comprises just 14 villas, set on the side of a steep hill, each separated from its nearest neighbor by at least 50 yards of dense vegetation. Thirteen of them measure 1,075 square feet, while a solitary two-bedroom Master Villa is 1,615 square feet. Having checked in and been greeted effusively by a succession of staff members — Awasi has 75 employees, including 16 guides, catering to a maximum of 28 guests — we were driven in a golf buggy along a winding stone path to Villa No. 14. This turned out to be a self-contained, air-conditioned private world with white wooden walls, a high tented ceiling, a wooden floor covered with area rugs, a king-size bed, a wardrobe and picture windows with blackout shades. Down two or three steps, a lounge area came with a sofa; armchairs; freestanding reading lamps; and low tables covered with hardback books, magazines and baskets woven by the local Guaraní tribal people. Its walls were decorated with colorful framed drawings of tropical plants and birds. The adjoining bath was unusually spacious, bright and well-lit, with a single large rectangular sink, a sizable tub and a separate walk-in shower. 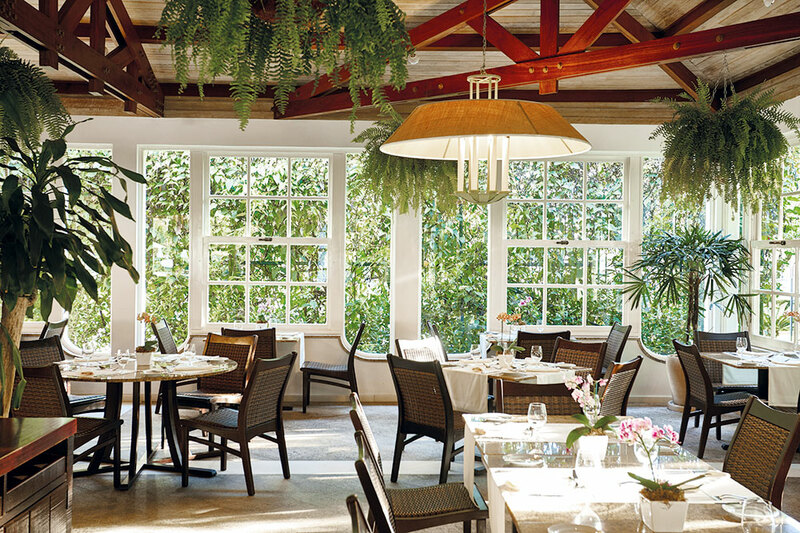 Overall, the atmosphere was very similar to that of an upscale African safari lodge. Nothing was glitzy or overly luxe; rather, our temporary home seemed exceptionally comfortable, serene and agreeably understated. 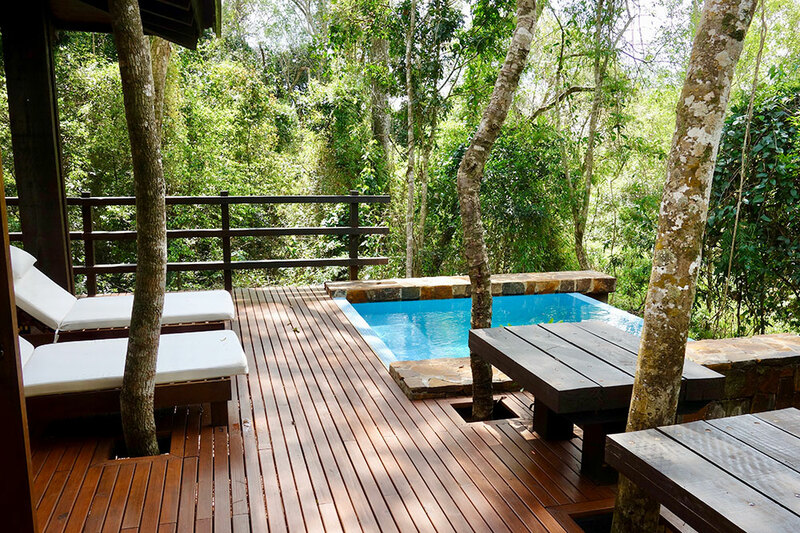 Having explored our accommodations, we wandered outside to inspect our private deck and its vibrant blue plunge pool. (Given the forest surroundings, I couldn’t help thinking that a less assertive shade might have been more appropriate.) We sat for a while on one of the two spotless white sun loungers, gazing into vegetation from which emerged an unfamiliar and tantalizing chorus of bird calls. The largest toucan species, toco toucan, with its huge yellow-and-orange nine-inch beak, is relatively common around Iguazú. Suddenly, a dazzling scarlet-breasted surucua trogon erupted from the forest to perch on a branch nearby. The villas at Awasi Iguazú have clearly been designed as places in which to pass extended periods of time: bird-watching, sunbathing, reading, sipping wine or listening to music. 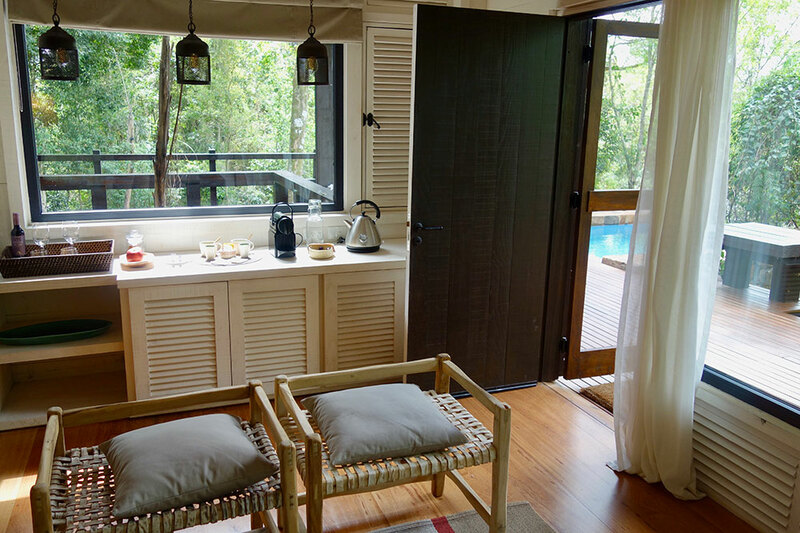 Although the resort provides a menu of guided activities, as well as visits to the falls, I suspect that most guests spend a significant proportion of their stay simply destressing, surrounded by the strangely reassuring cocoon of the forest. Sometimes, this relaxation may be enforced by the weather. The Iguazú region has a humid, subtropical climate, and there is no dry season. Heavy downpours may be expected at any time of year, with November being the wettest month, when nearly eight inches of rain falls on average. At cocktail hour, we headed back to the main lodge to meet up with Coti in order to discuss the program of activities for our stay. Guests at Awasi Iguazú are allocated a dedicated guide and vehicle, so all excursions are personalized. (The resort has no spa, gym or full-size pool; here, hiking and kayaking are the principal sources of exercise.) 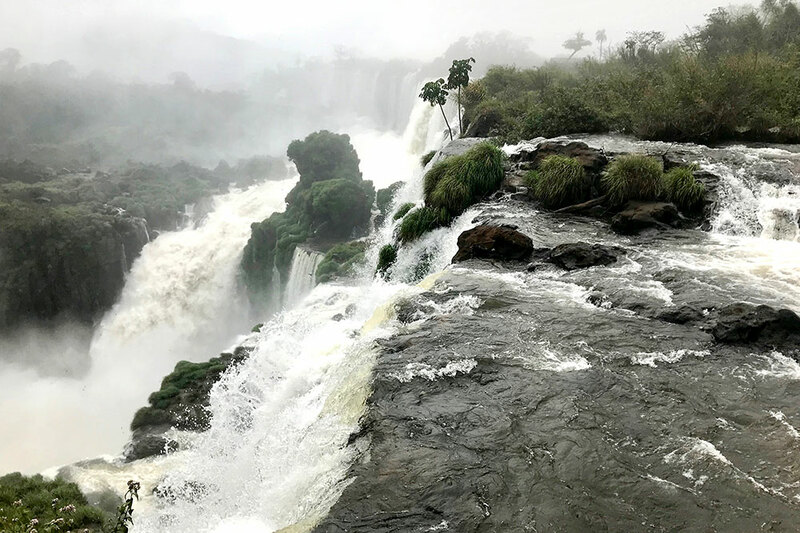 Aided by detailed local maps, she explained the various options, and then, like most guests apparently, we agreed to spend the whole of our first day exploring the Iguazú Falls themselves. 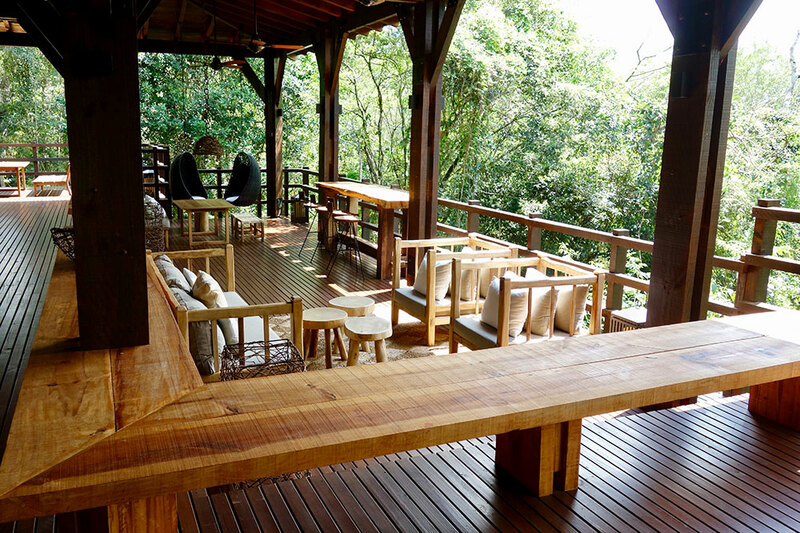 Meals at Awasi Iguazú can be taken outside on the deck, as well as in the main dining room. Chef Aarón Castillo Tellería serves seasonal dishes inspired by local ingredients from the surrounding province of Misiones. His short menu changes every day, but it often features local river fish — surubí is a giant catfish, while pacu is related to piranha — and Argentine beef, plus a vegetarian option. Throughout our stay, the food was imaginative, delicious and presented with flair. On occasion, I found the portions to be rather small, but the flavors were always interesting, and the service was never less than charming and attentive. After breakfast (selected from an outstanding buffet), we set off with Coti and Carlos, a biologist who turned out to possess an encyclopedic knowledge of the local birds. A 25-minute drive brought us to the national park and the main entrance to the falls. It was only 8 a.m., but 200 or 300 people were already waiting for the ticket office to open. 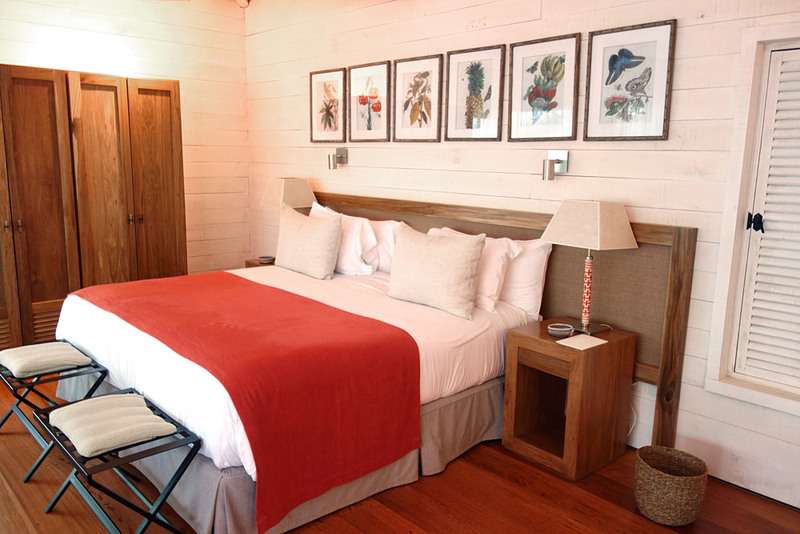 The advantage of staying at Awasi Iguazú soon became apparent. Coti disappeared for two or three minutes and returned with a special permit. This allowed us access to a nearby road that otherwise is used only by park employees. After a five-minute drive, we arrived at the falls at least an hour ahead of the crowd. Much of eastern South America — from Brazil’s Rio Grande do Norte state to Argentina’s Misiones Province and inland as far as eastern Paraguay — was originally covered by the subtropical Atlantic Forest. Iguazú Falls comprise around 275 separate cascades (depending on the flow), which are around 270 feet high and drop from an edge more than a mile and a half long. Victoria Falls, in southern Africa, has the world’s largest single curtain of water — 5,603 feet wide and 360 feet high — but the Iguazú waterfall system is both more extensive and much easier to see. On the Argentine side, there are approximately four miles of metal walkways, with dozens of viewpoints. Closest to the main entrance are the Upper Circuit and the Lower Circuit paths, each of which takes around 90 minutes to complete at a leisurely pace, stopping to gaze or take photographs. On the Upper Circuit there are places where you can stand a few feet from where the river slides into the abyss, while on the Lower Circuit it is possible almost to reach out and touch the thunderous Bosetti cascade. Both levels provide panoramic views of San Martín, the second largest of the falls. For the first hour we saw precisely one other couple. The sun had yet to burn away the early morning mist, tendrils of which became entwined with drifts of rising spray, while the tops of the tallest trees were still wrapped in scarves of cloud. The scene was indescribably splendid, mysterious and primeval. Iguazú Falls may be a major tourist attraction, but it is still possible to see them almost exactly as they must have appeared to the Spanish conquistador Álvar Núñez Cabeza de Vaca in 1541, when he became the first European to record their existence. Suddenly, the rationale for Awasi’s new lodge became obvious. In the afternoon, we returned to the falls, but this time we headed to a different viewpoint, one accessible after a 25-minute ride aboard a light railway. On this occasion, we were surrounded by the tourist crowds, but the experience was not claustrophobic or disagreeable. The train stops at the end of a long causeway that winds across the wide, shallow expanse of the upper Iguazú River to a platform right at the edge of Garganta del Diablo, the Devil’s Throat, the largest and most impressive of the falls. Here, 50 percent of the Iguazú River’s water topples into a chasm and disappears in a swirling chaos of spray. Nowhere else, in either Argentina or Brazil, do you experience the same sense of overwhelming power. The ideal length of time to spend at Awasi Iguazú is probably four days, which, assuming the entire first day is spent exploring the falls, allows time both for relaxation and two or three excursions. We went for an exhilarating speedboat cruise on the Paraná River, accessible from the small town of Puerto Libertad, a 45-minute drive south of the lodge. 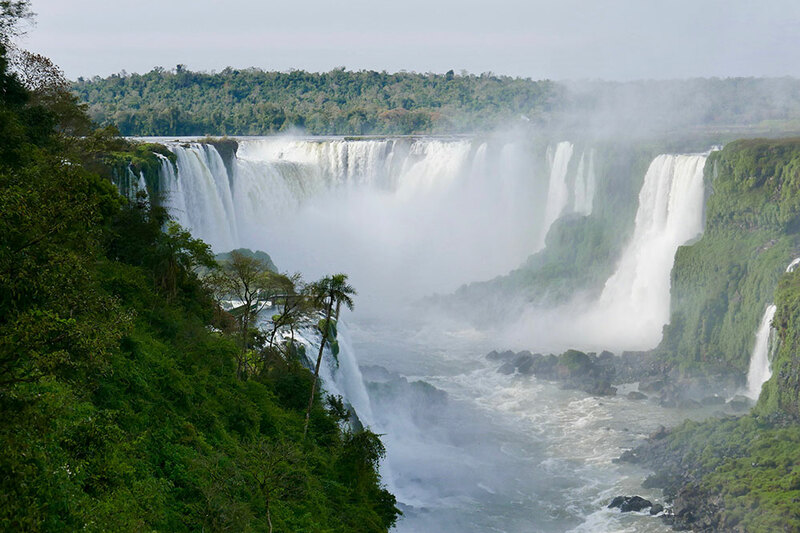 (The Paraná, which here forms the boundary between Argentina and Paraguay, is the second-longest river in South America [3,030 miles] after the Amazon; it joins the ocean at Buenos Aires, and the Iguazu is one of its major tributaries.) Afterward, we hiked for about two hours through the riverine forest to a viewpoint where wine and cheese had been set out on a table beneath a rustic canopy. On another occasion, Coti took us on a successful search for toco toucans. Other trips for which we had insufficient time include jungle kayaking and visits to local Guaraní people. It is also possible to cross into Brazil to see the falls from a different perspective. Although more waterfalls are visible from Argentina, the best panoramic view of the Devil’s Throat and its attendant cataracts is from the Brazilian side. After a 20-minute drive from Awasi, we crossed the bridge over the Iguazu. We were not required to get out of our vehicle at Argentine immigration, but in Brazil we were obliged to file into a small office to present our passports; in either case the procedure took less than five minutes. (It is important to know that U.S. citizens require a visa to Brazil, but not to Argentina.) Accredited guides, like Coti, have a permit that enables them to pass freely back and forth. The Brazilian national park is the bigger of the two (around 660 square miles) and was enrolled as a UNESCO World Heritage site in 1986. At the entrance, we were obliged to take a shuttle to the edge of the falls, a drive of about 10 miles through dense forest. The previous week, Coti had glimpsed a jaguar on this road, and our driver said that he, too, had seen the cats on occasion. 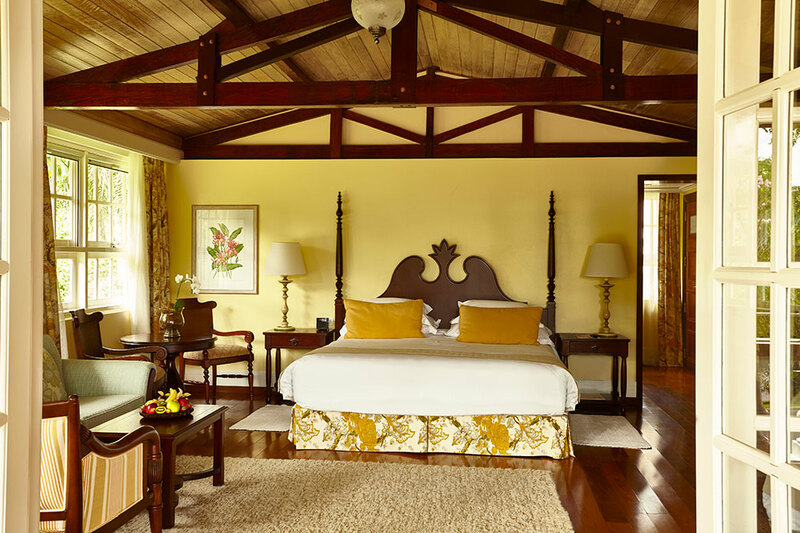 Spacious, tranquil and well-appointed villas; excellent seasonal and regional cuisine; the superlative guides and resort staff. Although the resort has a secluded rainforest location, the nearby town of Puerto Iguazú is scruffy and unappealing. It is an easy 45-minute transfer from the airport at Foz do Iguaçu in Brazil if you are traveling from São Paulo or Rio de Janeiro. 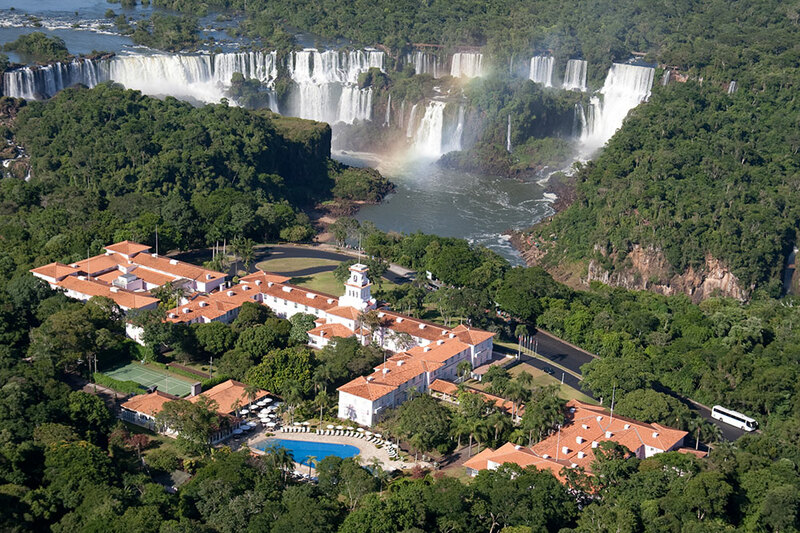 Most visitors to the Brazilian falls come via tour bus, but our transportation had been provided by the Belmond Hotel das Cataratas, which, until the advent of the Awasi, was the area’s only upscale place to stay. The Belmond is a completely contrasting property. 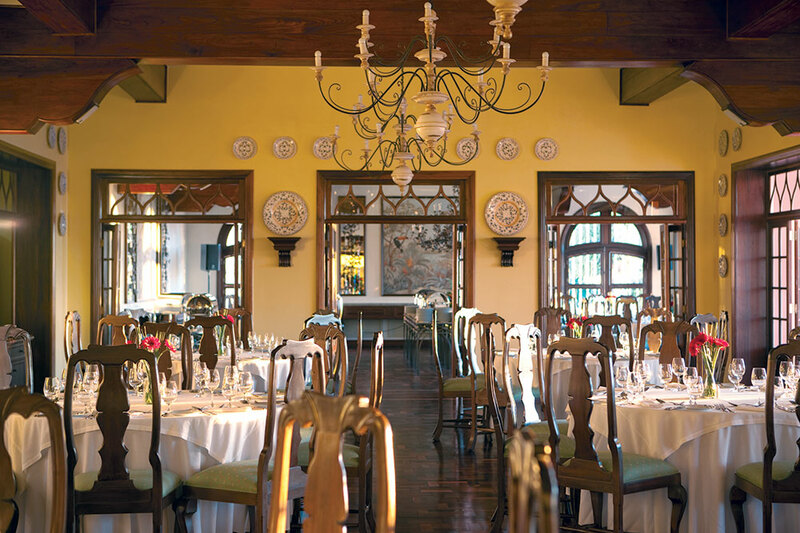 A grand hacienda-style hotel of 187 rooms and suites, it offers lavish public areas, a choice of restaurants, a spa, a gym, tennis courts and a glamorous outdoor swimming pool. Our Deluxe Room came with a view of the distant falls — and also of the arriving tour buses. At check-in, we had been offered a Junior Suite that lacked the falls view, and on a future occasion, I would opt for the additional space. Our accommodations were pretty, well-maintained and freshly decorated but rather cramped for two people. An attractive color scheme of pale yellow and sage green was complemented by a polished wooden floor, dark wood furniture and paintings of tropical flowers. However, the storage space was barely adequate, and the bath, despite its white-marble surfaces and attractive azulejo tiles, was inconveniently small and lacked a separate area for the toilet. During our brief stay, the quality of the food and service was admirable. 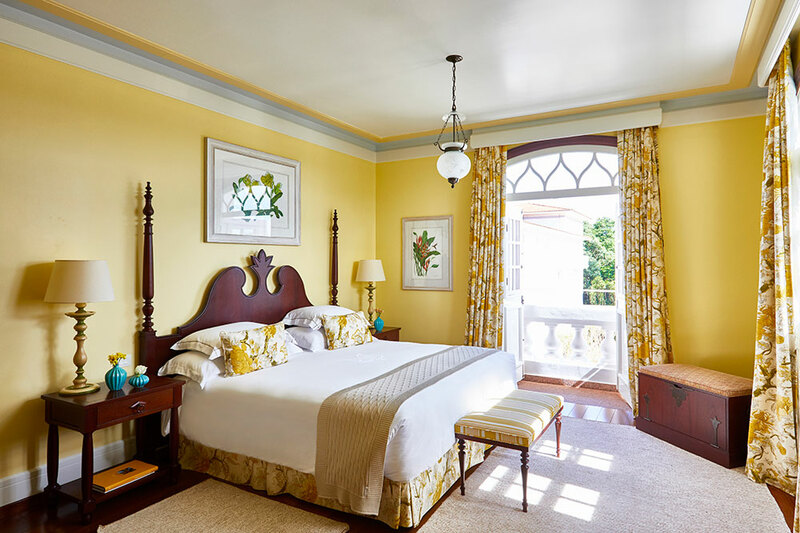 Overall, the Belmond is a distinguished full-service property that will appeal to those who prefer the amenities and the convenience of larger hotels. 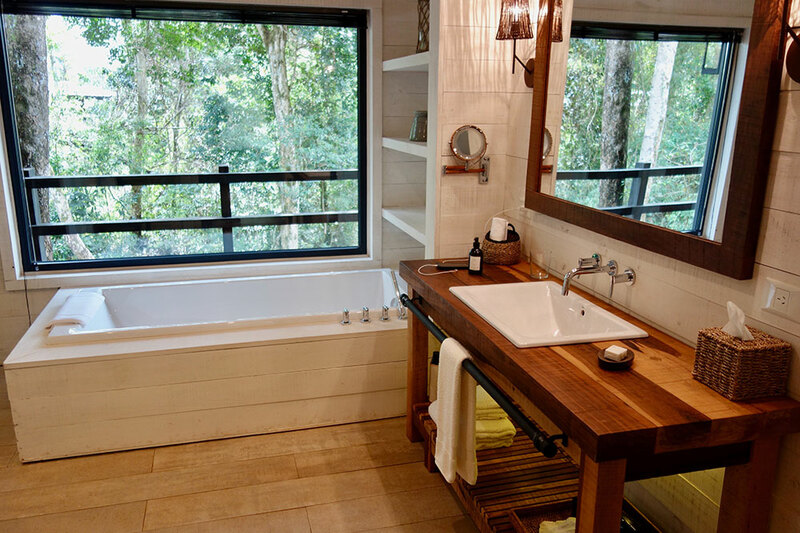 In contrast, Awasi Iguazú is a true hideaway. As the Belmond is the only hotel inside the Brazilian national park, it is possible to see the waterfalls in the early morning, long before any other tourists have arrived. From the hotel lobby, it is a two-minute stroll to a viewpoint from which at least a dozen cascades are visible. From there, a footpath follows the course of the river upstream. After 30 or 40 minutes, we arrived at a walkway that culminated in a deck with a sensational panorama of the Devil’s Throat. Some of the world’s most famous sights not only live up to the advance publicity but exceed even the most fervid expectations. Despite being drenched with spray, we stood for close to an hour, transfixed by the astonishing grandeur of the scene. Grand architecture; attractive grounds; splendid pool; friendly, well-trained staff. For much of the day, tour buses draw up around 200 yards from the hotel entrance. Opt for larger accommodations, rather than a Deluxe Room with a view of the falls.